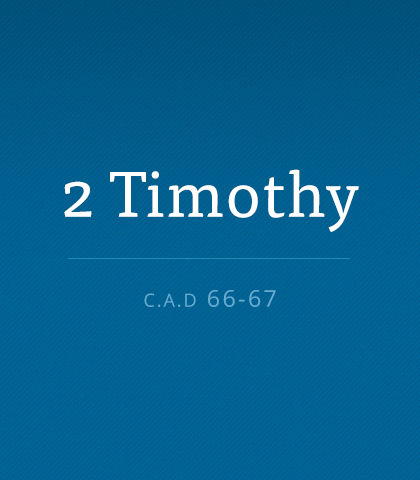 When Paul laid out a path of suffering for his protégé, Timothy, the young pastor may have grimaced. But Paul promised more than pain. The path, should Timothy choose it, would take him to heights unknown—to glory after death and to greater maturity in life. The same awaits us, if we choose the rough and rugged road of Christ. Words are powerful things. With them, we can lead people to life-freeing truth or life-imprisoning falsehood. That’s why Paul was concerned about certain men in the church who had “gone astray from the truth” (2 Timothy 2:18). Character is no longer king; our culture champions competency. Scripture, however, champions character. So, for those of us who wish to lead in a Christian manner, character must always trump competency. That’s the message of the last seven verses 2 Timothy 2. When you’re faced with temptation, Scripture makes it clear that the best strategy is to run. Whatever it is, just say “no” and get out. It works. What’s your definition of truth? Is truth debatable or is it absolute? If you’re struggling with knowing what’s true, you’re not alone.